Impact ImplementsTM Generation II ATV Disc Plow Attachment turns your ATV into a gas-powered plow horse! How does your garden grow? 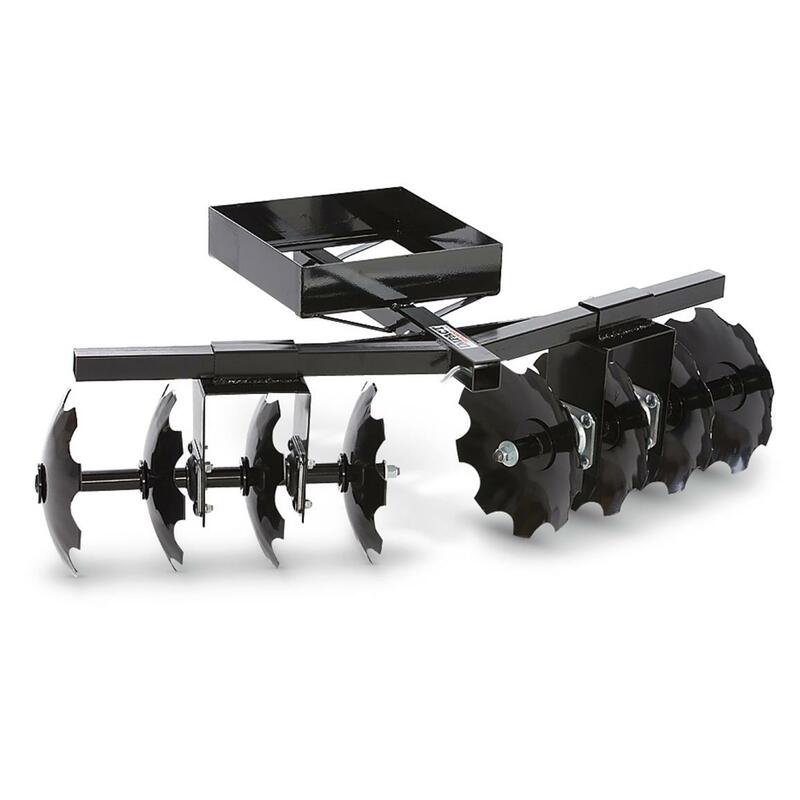 Quite well, after you use this Gen II Disc Plow Attachment to churn up the dirt. It's excellent for food plot prep, gardening and cutting up virgin soil. Mounts in seconds using 2" receiver and 1-Point Lift System (not included). Impact Implements ATV / UTV Landscape Rake with Tipper Latch, Rank Tines 50" x 10"